I’ve never liked raw broccoli – I just don’t like the texture. It’s too tough, and no matter how much I chew it, it never seems to get chewed enough. And the aftertaste is not that good, either. So I have to put a bit of work into this nutritious vegetable before I like to eat it, usually by pickling or steaming. One of my favorite BBQ places of all time is Fette Sau in Brooklyn. They make a delicious broccoli salad as a side dish for their BBQ and customers never miss ordering it with their beef brisket, including me. It’s really tasty, but it has a lot of olive oil, so it looks and tastes really oily. It’s ok once in a while, but I couldn’t eat it all the time. One time after going to Fette Sau, I got the idea for this recipe. When I came home, I experimented with steaming methods to figure out how to do it without hassle. I also worked on reducing the amount of oil and added crushed chili peppers and vinegar, which makes it a little Korean. The taste turned out fantastic, and I knew that I wanted to share this recipe with all my readers! 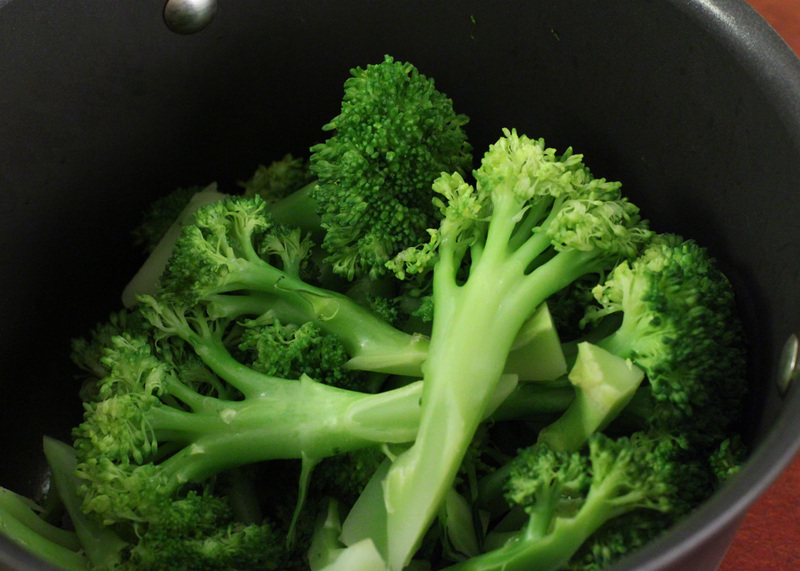 Thoroughly wash the broccoli in cold water to remove any dirt from between the florets. Cut off the tough tip of the stem of each head of broccoli, then cut the heads lengthwise along the individual florets, toward the stem and about 4 inch long. Each piece will look like a little tree. Place the broccoli trees into a pot and add ¼ cup water. Bring to a boil with the lid closed for 10 minutes over medium high heat. Open the lid, drain, and let it cool down for a few minutes. Make a coating sauce by combining the olive oil, salt, sugar, garlic, dried and crushed chili pepper, ground black pepper, and vinegar in a large mixing bowl. Add the broccoli to the coating sauce and mix it all together. Serve warm or cold as a side dish for barbecue or any type of meat dish, or as a snack. Posted on Friday, April 5th, 2013 at 1:36 pm. Last updated on October 5, 2014. Posted February 1st, 2019 at 4:20 pm | Log in to reply. I had broccoli as banchan many times in Korea (between 2003 and 2012). It wasn’t too uncommon in Gyeonggi-do. However, what I do remember was that it was almost always bland and unseasoned (if anything, it was served with a strip or carrot or two). I’m anxious to try it with your seasoning. Thanks! I’m cooking your dakbokkeumtang tonight and I feel obligated to serve a green veggie. Broccoli is all I really have. Anything I can do with frozen green peas? Posted September 29th, 2016 at 11:32 am | Log in to reply. it would be great to know, all recipes long last in fridge or room tempature. i will make this tomorrow ,its gonna tasty. Posted March 30th, 2016 at 3:14 pm | Log in to reply. I absolutely LOVE IT! I got some broccoli at work and can’t stop eating this salad, it’s perfect! I might test it with other vegetables too soon. Thank you! Posted November 4th, 2015 at 2:59 pm | Log in to reply. Posted November 4th, 2015 at 6:37 pm | Log in to reply. I’m glad you like this recipe! Posted August 25th, 2015 at 6:50 am | Log in to reply. Oh, i tried this last week but forgot to share the pics on time. I am so loving your site! I don’t normally cook, but with your recipes and easy to follow instructions, I am loving it now! Posted May 9th, 2015 at 5:08 pm | Log in to reply. I have made this a few times now. It is such a great recipe. Most recently I grabbed a bag of broccolette (also known by the trade name, Broccolini — a hybrid cross of broccoli and Chinese kale) at the grocery store. 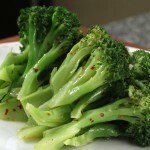 Broccolette works wonderfully as a substitute for broccoli in this recipe. Posted May 10th, 2015 at 10:55 am | Log in to reply. I love Broccolette,too. 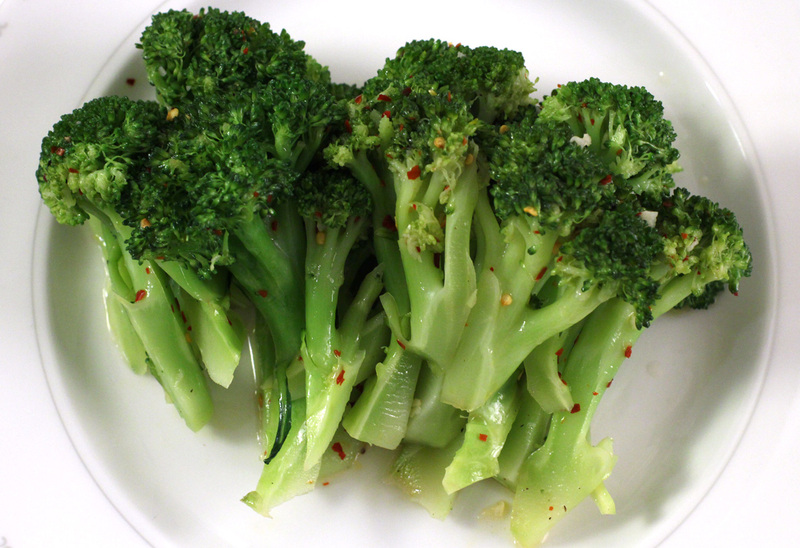 We call it Chinese broccoli here in New York. : ) Delicious and healthy stuff! Thank you for sharing the info! Posted September 23rd, 2014 at 2:34 am | Log in to reply. Hi, I made some minor changes, I used balsamic vinegar glaze in place of the vinegar and used hot pepper sauce (Korean kind) because I didnt have the ground pepper, turned out deliciously. Love your recipes. Posted September 23rd, 2014 at 11:49 am | Log in to reply. Posted April 10th, 2013 at 9:48 pm | Log in to reply. I just got done finishing making this and eating it in 2 minutes! It’s so delicious!! Quick, easy, simple and most importantly tasty! 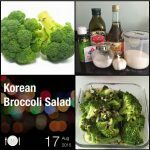 :) I think this dressing would be great on any type of florets…nice time I will try it with asparagus and cauliflower!! Yummm, the red pepper flakes truly adds a kick. Posted April 12th, 2013 at 10:31 am | Log in to reply. “Quick, easy, simple and most importantly tasty! :)” Exactly that’s what I’m saying! : ) asparagus and cauliflower sound great! Posted April 9th, 2013 at 5:54 am | Log in to reply. Posted April 9th, 2013 at 4:44 pm | Log in to reply. Posted April 7th, 2013 at 12:38 pm | Log in to reply. Maangchi, I really miss your posts! I’m going to try your broccoli recipe. Thank you for uploading! Posted April 8th, 2013 at 9:55 am | Log in to reply. Posted April 7th, 2013 at 5:28 am | Log in to reply. I am currently trying out this recipe…in the form of your broccoli pickle recipe! I am going to be trying your gamjajeon recipe as well. I have also made bap, nurungji, and sungnyung. I love nurungji! It reminds me of my favorite Japanese rice crackers and is much healthier because there is a lot less sodium I think. Keep up the wonderful videos :D! Posted April 8th, 2013 at 9:54 am | Log in to reply. Cheers to your nurungji! : ) Happy cooking! Posted April 6th, 2013 at 11:40 am | Log in to reply. Posted April 6th, 2013 at 3:25 pm | Log in to reply. oh you also know that place! I think cauliflower will work well, too. Posted April 6th, 2013 at 7:27 am | Log in to reply. Greetings Maangchi! Cute hairdo. I must try this next time for banchan. It’s so quick ‘n easy, and looks delish.You eat it so deliciously at the end lol. Sometimes I steam and sometimes I’ll poach broccoli..but microwave?? 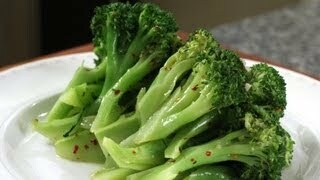 Olneydiana, I think you will notice the difference in taste and texture if you tried steaming the broccoli. And there was also a study that showed that microwaving can deprive the full nutrients of vegetables. Posted April 8th, 2013 at 2:06 am | Log in to reply. Lol..i actually did make this tonight. I made fried rice, and for banchan, I had this broccoli dish, kimchi, and cucumbers (dipped in gochujang)….simple quick and easy meals to satiate my hunger when I’m not in the mood for heavy cooking. The broccoli was delicious. I also added toasted sesame seeds to mine, for that crunch. I loved the savory tang of the dressing. Posted April 5th, 2013 at 4:46 pm | Log in to reply. Hi – I microwave broccoli. I put it in a bowl, and place a small plate on top. Set microwave for 4 minutes, and it comes out beautifully! Cheers! This recipe was originally posted on April 5, 2013 at 1:36 pm by Maangchi. It was last updated on October 5, 2014. The video was watched 695,838 times on YouTube & has 10,863 likes!